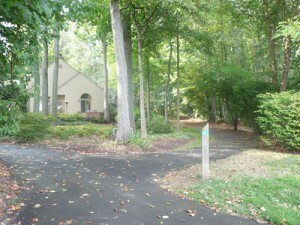 Lake Newport offers luxury lakeside living with easy access to Reston Town Center, Lake Anne, and more. Back in the early 1980s, the Lake Newport neighborhood brought contemporary, luxurious living to. The focal point of this charming community on the opposite side of Baron Cameron from Lake Anne is Lake Newport, a 12-acre man-made lake built in 1981. 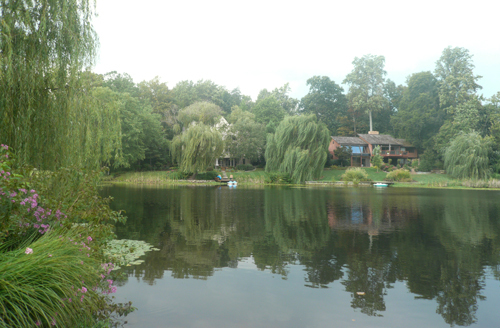 On any beautiful day, you'll find residents canoeing and fishing in the lake, or using the approximately 1-mile walking path that loops the lake and takes you on a tour of the neighborhood. You'll also find people enjoying the RA tennis courts and Lake Newport pool (Reston's only Olympic sized, 50m swimming pool), or wandering across Reston Parkway to enjoy a coffee, ice cream, or a great meal or to do their weekly grocery shopping at North Point. The Lake Newport neighborhood is divided into several smaller sub-neighborhoods, all built in the 80s and 90s. Town and patio homes can be found at Hemingway, while large, luxurious single family homes are located in the Newport, Greenwich Point, BelCastle, Newport Shores, and Newport Cove neighborhoods. A 1-mile loop on RA paths is a lovely afternoon walk around Lake Newport! Lake Newport Road: Eastern end of Lake Newport Road off North Village Road. 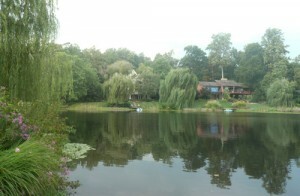 This neighborhood has 15 lovely custom-built 3- to 5-bedroom single family homes, many of which are direct lakefront. Hemmingway: Hemingway Court and Drive off Center Harbor Drive. This neighborhood offers a combination of 25 multi-level 3- to 5-bedroom patio homes and 50 townhomes. About 15% of the townhomes are direct lakefront. Newport: Regatta Lane off the Baron Cameron end of North Village Road. This neighborhood has 30 multi-level 3- to 5-bedroom patio homes, and about 20% are direct lakefront. Greenwich Point: Greenwich Point Road off Center Harbor Drive. This neighborhood has about 25 lovely multi-level 3- to 5-bedroom patio homes, of which 25% are direct lakefront. BelCastle: BelCastle Lane off Waterfront Road. This neighborhood has 20 multi-level 3- to 5-bedroom patio homes, of which 30% are direct lakefront. Newport Shores: Waterfront Road off Center Harbor Drive. This neighborhood has 30 multi-level 3- to 5-bedroom patio homes, of which 25% are direct lakefront. Newport Cove: Newport Cove Lane off the Baron Cameron end of North Village Road. This neighborhood has 8 lovely multi-level 3- to 5-bedroom single family homes, of which 60% are direct lakefront. If you want luxurious lakeside living in Reston, Lake Newport is the neighborhood for you.